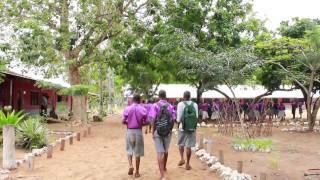 These are some of the videos about our activities in Kenya. Follow us on YouTube for more info. The Debate Mate Team visited Kenya in 2016 and interviewed some Akili Bursary students, who shared with us what having a bursary means to them. Help us continue to support hundreds of young people in rural Kenya, learn to read, write, love books and realise their potential. The Akili Trust was set up in January 2006 by Nicola Crowther and Mark Orchard, and achieved charitable status in May 2006. The name was chosen because ‘Akili’ means ‘brains’ or ‘intellect’ in Kiswahili. This was appropriate to the main purpose of the Trust, which is to develop libraries in rural areas of Kenya to contribute to the promotion and development of literacy.